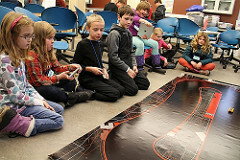 HOUGHTON – Programs and events such as science nights, outdoor field trips, and etcetera, are just a very few examples of programs and activities available to schools all across the state of Michigan. In the western Upper Peninsula, they are made available through an organization called the Western Upper Peninsula Center for Science, Mathematics and Environmental Education. Joan Chadde, program director of the Western U.P. center, said in addition to programs for students, they also offer programs and services to educators. Read more at the Mining Gazette, by Graham Jaehnig. HANCOCK – The Western Upper Peninsula Center for Science, Mathematics and Environmental Education is a valuable resource to schools throughout the five western counties of the U.P. Those counties are Baraga, Houghton, Keweenaw, Ontonagon, and Gogebic. All of the programs and resources offered to the schools are grant-funded, Opplinger said, requiring long days and many hours of requesting grants. 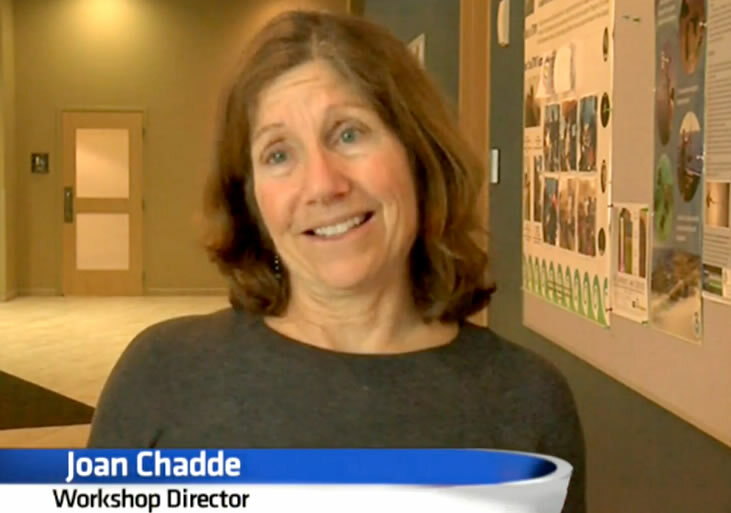 “These are 12-hour days, because we’re writing grants, and you’re lucky if you get 25 percent of them,” Chadde said. Read more at the Mining Gazette, by Graham Jaehnig (subscription required). HOUGHTON – The Western Upper Peninsula Center for Science, Mathematics and Environmental Education has scheduled the 18th Annual Western U.P. 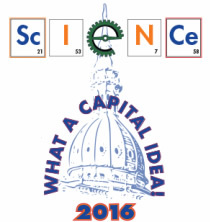 Science Fair and Engineering Festival starting at 4:30 p.m., Thursday, March 17, at Michigan Tech’s Memorial Union Building. For more information on the Western U.P. Science Fair, visit wupcenter.mtu.edu. HANCOCK – Hancock’s Barkell Elementary School recently held its annual Fifth Grade Science Night, which every year showcases that grade’s major science project for the year. Lake Linden-Hubbell Elementary School fifth-grader Jared Hester and Michigan Technological University student Jackson Maslowski have a light saber-esque fight with Van de Graaff generators at the Western Upper Peninsula Science Fair March 17. HOUGHTON — They’re 240 students are showing off their scientific abilities at Michigan Tech Thursday night, but they’re not Tech students. Read more and watch the video at Upper Michigan’s Soruce, by Aleah Hordges. On Saint Patrick’s Day 2016, several members had the opportunity to spend time with elementary and middle school students at the Western UP Science Fair held at Michigan Tech. AEE members helped the students learn and understand alternative methods to lighting LEDs, other than using electricity from an outlet. Members were able to utilize several different experiments to illustrate the phenomena. Read more and view the gallery at Alternative Energy Enterprise, by Jacob Nowicki. Director for the Western U.P. Center for Science, Mathematics and Environmental Education Shawn Oppliger says the projects show what these students are capable of. Read more and listen to audio interviews at the Keweenaw Report. The state of Michigan has an average recycling rate of 15% as the Western U.P stands at 5%–making it one of the lowest in the nation. Local groups like the Copper Country Initiative Task Force are looking to mend that gap with the help of local school teachers. Joan Chadde, director of the Center for Science and Environmental Outreach and Lauri Davis, a Houghton High School science teacher presented, “Designing a Sustainable Future” at the Michigan Science Teachers Association Conference in Lansing, March 4-5, 2016. The next session of after school sciences classes for elementary school children begins Thursday, March 17. Spring Nature Explorations, Grades 1 and 2—As the snow melts and the days lengthen, it’s time to investigate birds and spring migration, growing plants, frog life cycles and incredible insects that may bite us, but provide dinner for so many other organisms. Physics of Motion, Grades 3 through 5—Explore motion in our world through investigations involving the principles of physics. Students will construct rockets, roller coaters, aqueducts and catapults to discover the relationship between energy and motion through engaging, hands-ons activities. The cost is $75 per student. You can pay by credit card by calling the Michigan Tech Cashier at 7-2247 (Space is not reserved until your payment is received). Register by tomorrow (March 16) online, or on the website of the Western UP Center for Science, Mathematics and Environmental Education. Anyone with questions can email Joan Chadde or call 7-3341. Graduate student Seyedeh Maryam Fakhr Hosseini is a Spring 2016 recipient of the Dean’s Award for Outstanding Scholarship, as announced by the Graduate School. Fakhr Hosseini’s advisor is Philart Jeon. Houghton Elementary School will be a hopping place tonight as kindergarten through fifth grade students and their families come together to have fun doing hands-on science and engineering activities presented by Michigan Tech students. The event will take place from 6 to 7:30 p.m on Tuesday, March 1, 2016. Each child and adult at Houghton Family Science & Engineering Night can attend two 40-minute hands-on activities. The activities will address a variety of scientific concepts, ranging from which chewing gum is the best to observing characteristics of various rocks and minerals. Students will also be challenged to determine which clear liquid is water and to design a launcher. 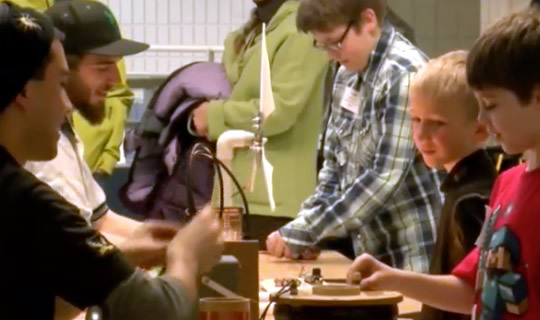 “Family science nights provide an opportunity for children and parents to learn together in a relaxed and fun environment,” explains Shawn Oppliger, director of the Western UP Center for Science, Math and Environmental Education. “Parents play an essential role in the success of their children at school. Parents who encourage the daily use of science and math concepts and skills, greatly enhance their child’s ability to grasp these challenging subject areas. Children are more likely to have a positive attitude about math and science if their parents do. Tonight’s program is funded in part by the Houghton-Portage Twp. Schools. The family night program is conducted by the Michigan Tech Center for Science and Environmental Outreach, in partnership with the Western Upper Peninsula Center for Science, Math and Environmental Education. The Center will conduct 12 family science, engineering and forest nights during the 2015-16 school year.